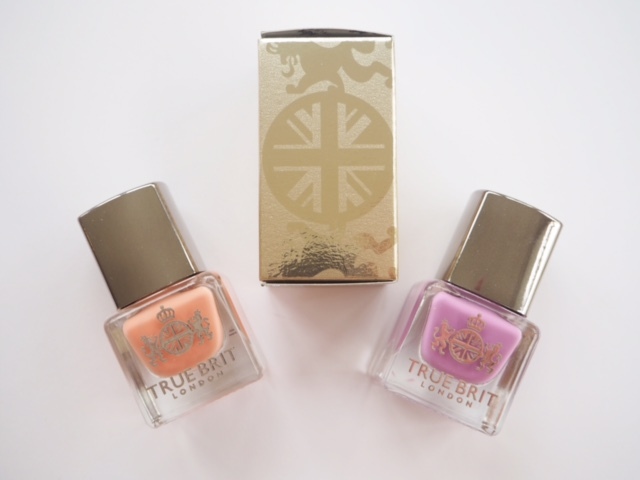 Founded by someone who private labels, advises and supplies some of our best known nail polish brands, you’d expect True Brit London polishes to be pretty good. True Brit London is the brainchild of Kate Cavan, owner of Phyto Ltd, based in Derbyshire, and with manufacturing capacity and a colour library of over 5000 shades, the chances are you’ll have experienced her products before. I’m hugely curious to know the who, what and where of this, but like any good professional private labeller, those secrets will never be revealed. The nearest I can get is ‘well known high street and professional brands”. It’s a big opening range of 72 shades segmented into categories such as New Garden Party, London City and Contemporary, with some inspired shades names. Fire of London is a fierce red, Golly Gosh is a acid yellow and Taxi Cab a deep black. I have two samples, Coat of Arms in a creamy lilac and Bow Bells in milky peach. 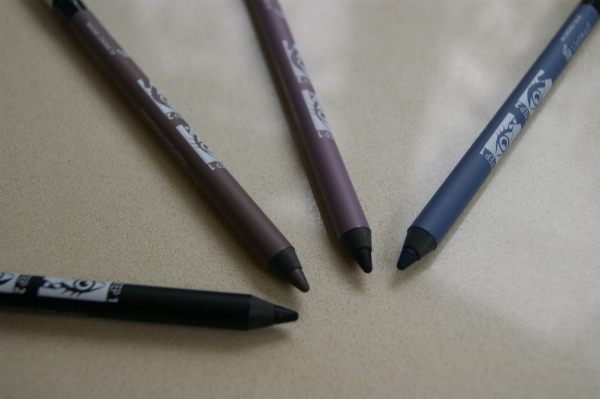 Although you can never say that two shades are a good representation of a brand (there are metallics, pearls, darks, pastels, creams – you name it) I was very impressed with the quality of these. A simple two coat application was plenty to get a perfect colour saturation and I’m itching to get the peach shade onto my own nails. 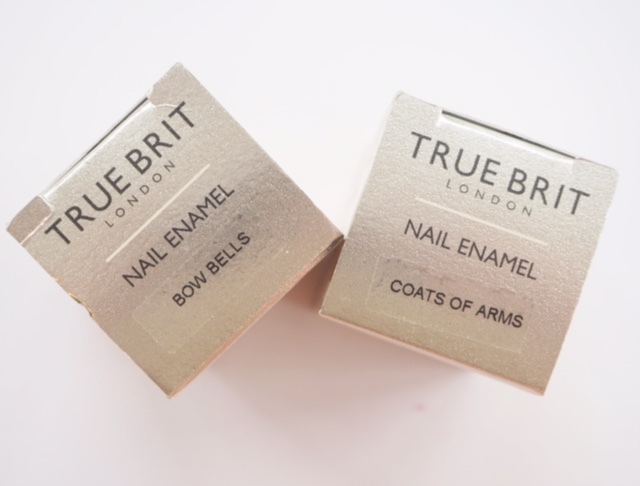 In terms of branding, True Brit London is as near to perfection as you can get – there is so much detail that taps into the ‘British’ vibe here from the packaging to the naming to the colour references. It’s very clever and I hope that this range gets the attention it deserves. 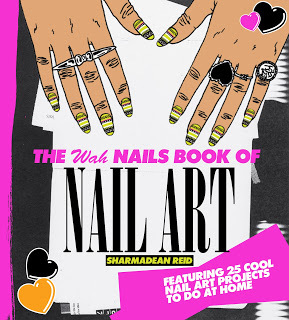 Nail shades are £12.50 each HERE. That purple is beautiful! Really like one I have by Nails Inc, Lexington Gardens, I have beenobsessed with it for over a year now! 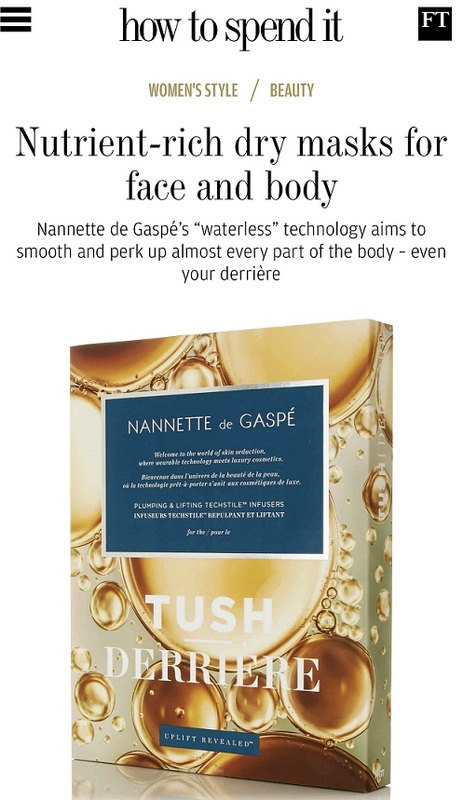 Is that the same Phyto as the French shampoo company?